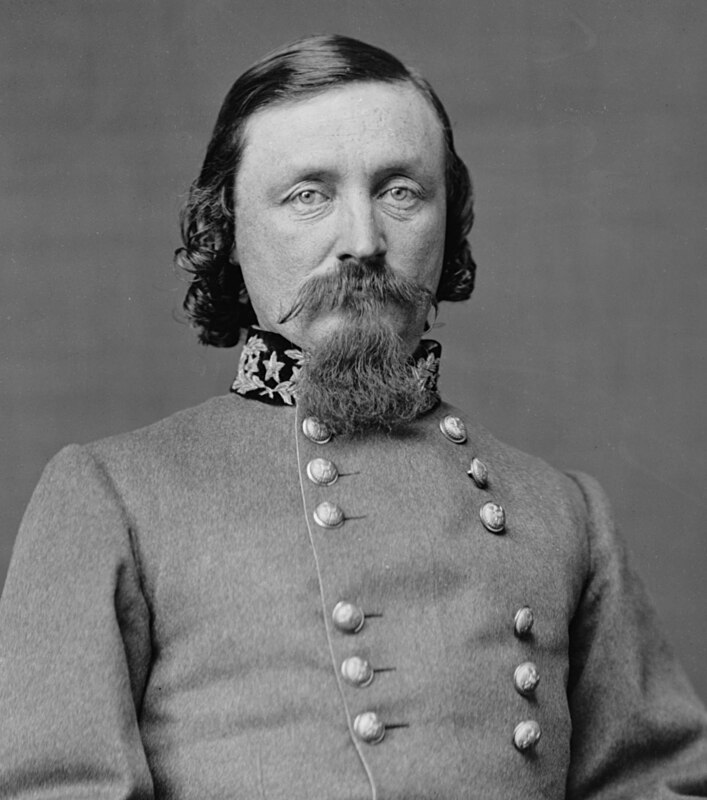 We’re going to start out with one of the more famous figures buried at Hollywood Cemetery: Major General George E. Pickett. His grave is located in the northern-most section of the cemetery near the area known as Gettysburg Hill. The red square marks the location of George Pickett’s grave. 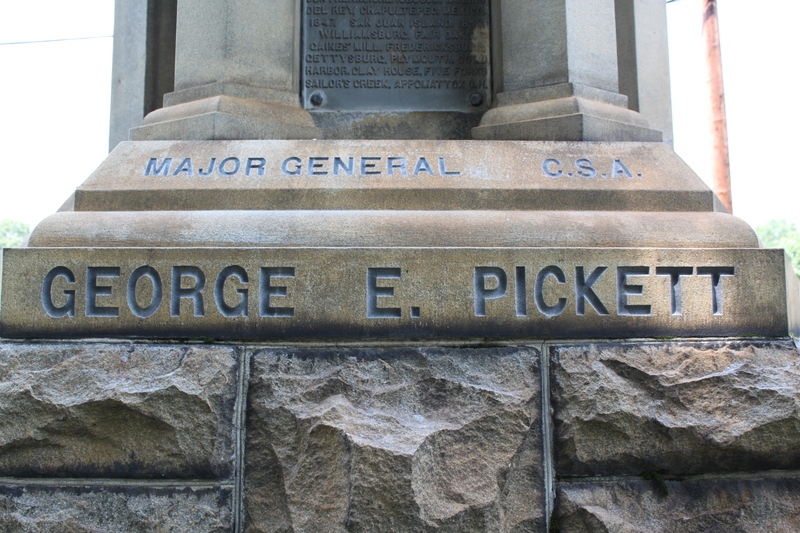 In the video below, I give a short biography of Maj. Gen. Pickett, and talk about some of the particulars of his “headstone” at Hollywood Cemetery, which was originally designed to be a monument to his division at Gettysburg. Video by George SkillmanHere are some close-up shots of his monument, so that you can get a sense for how much it resembles a division monument (because in reality, that’s what it is). There’s a lot to it. 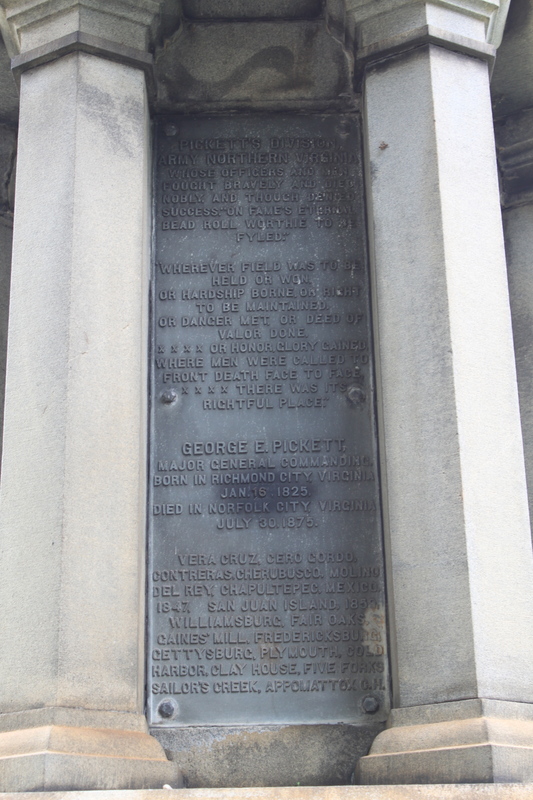 George E. Pickett’s Monument at Hollywood Cemetery. Photo by John Dolan. 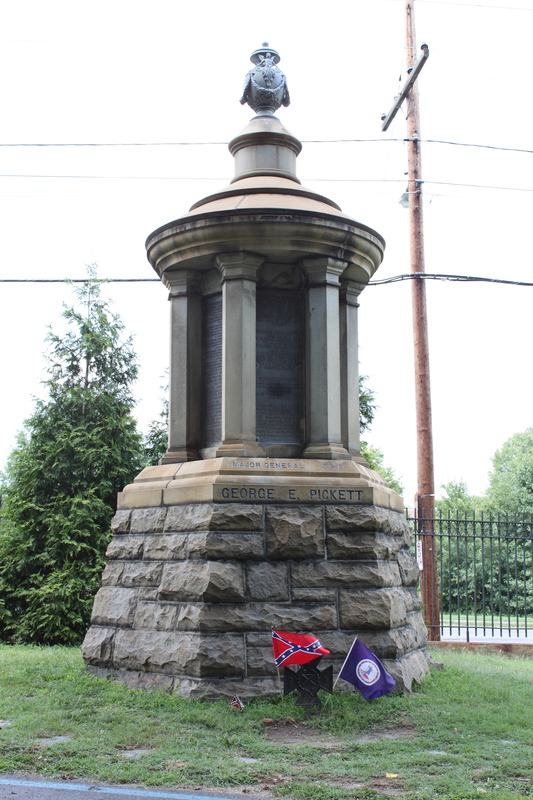 Pickett’s name and rank weren’t added to the monument until much later. Photo by John Dolan. 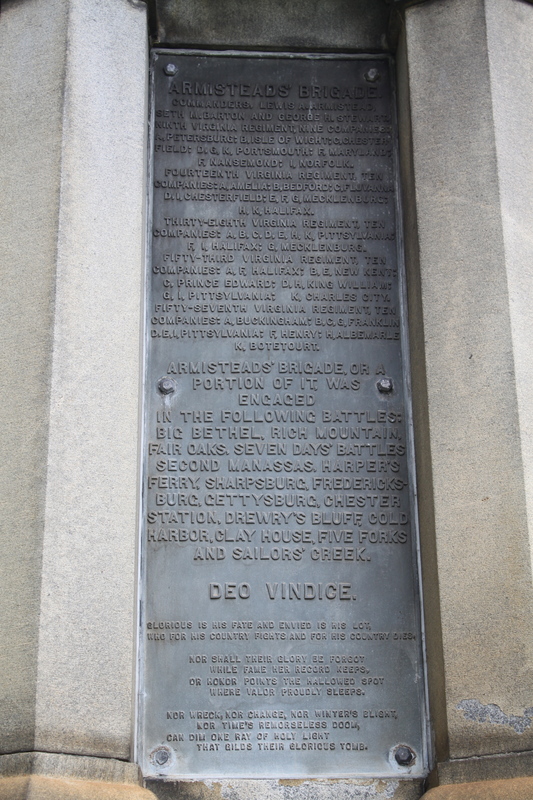 The plaque on the “front” of the monument. Photo by John Dolan. 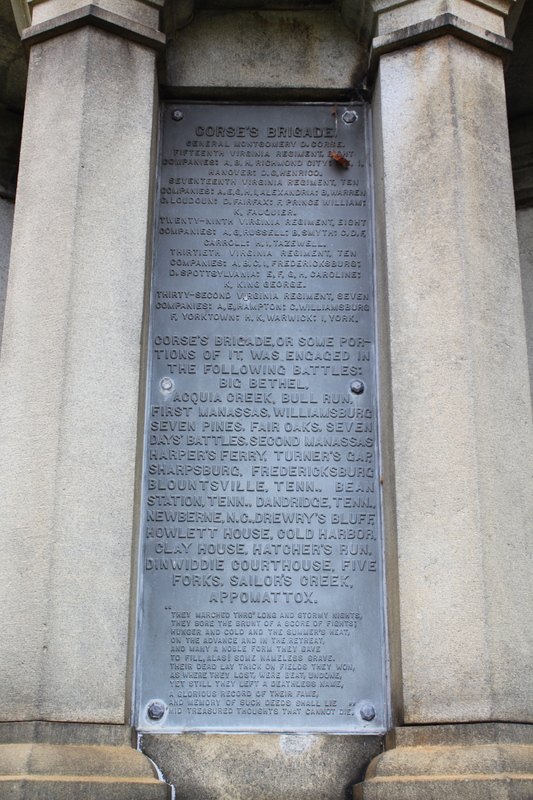 A plaque honoring Kemper’s brigade. Photo by John Dolan. 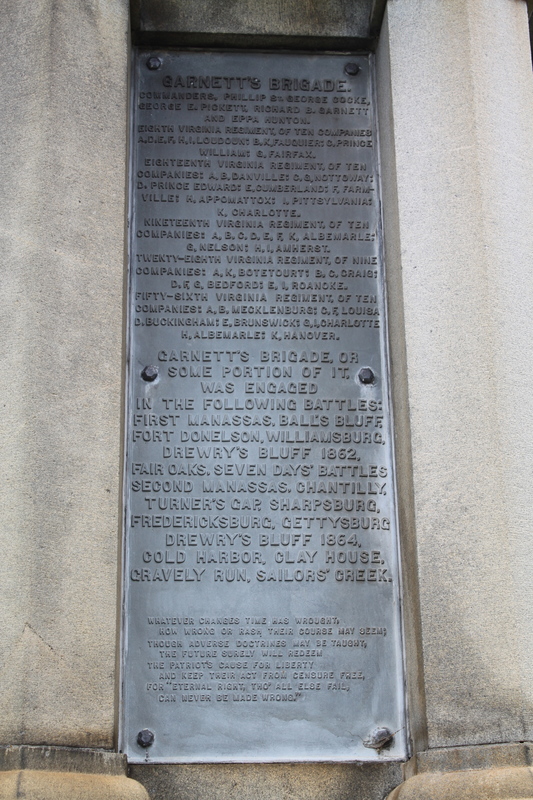 A plaque honoring Garnett’s brigade. Photo by John Dolan. 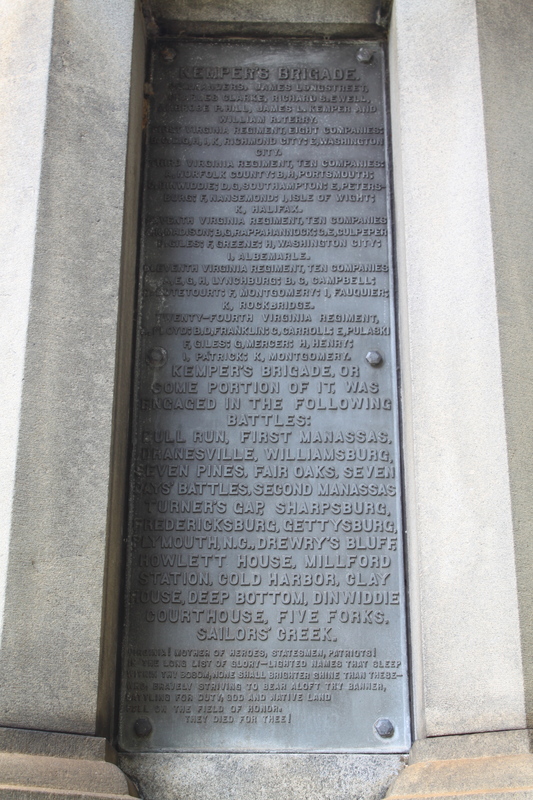 A plaque honoring Armistead’s brigade. Photo by John Dolan. A plaque honoring Corse’s brigade. Photo by John Dolan. 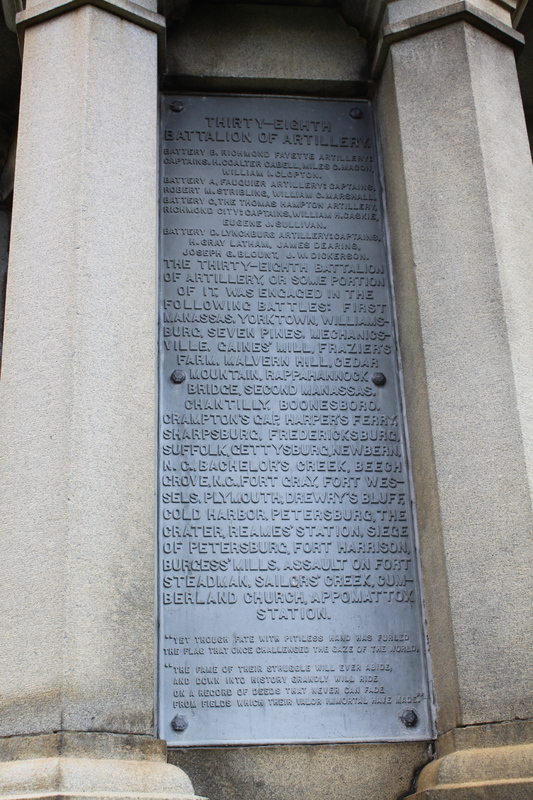 A plaque honoring the artillery battalion that was attached to the division. Photo by John Dolan. Keeping with the Pickett theme, in the next few posts of the series, we’ll talk about a few officers who were killed in the famous attack that (rightly or wrongly) bears his name. Very interesting and informative. Keep up the good work.